Can internships at law collectives or with members of Parliament be the ticket to better jobs or postgraduate programmes? Arun Iyer dreams of being a politician. The 23-year-old is currently a LAMP (legislative assistant to an MP, or member of Parliament) intern. A postgraduate in international and diplomatic studies from the University of Economics, Prague, Czech Republic, Iyer has been with Rajendra Agrawal, a Bharatiya Janata Party (BJP) MP from Meerut, since June. He spends his workday at the MP’s office off North Avenue, New Delhi. “Mr Agrawal, who has an RSS (Rashtriya Swayamsevak Sangh) background, is very disciplined. He wakes up at 5am and is in office early in the day, meeting a stream of people from his constituency," says Iyer. As an intern, Iyer’s primary job is to follow the news and track the implementation of government programmes (like the Sansad Aadarsh Gram Yojna) in Meerut. Now into their fourth year, LAMP internships are open to all Indian graduates under the age of 25. Around 50 LAMP interns are selected every year through an essay and a two-layered interview process; the 11-month internship starts in June. Each intern is placed with an MP they can help with research work. The MP mentors the intern, committing one-to-one time. “Last year, we got 1,200 applications, and a similar number applied this year too," says PRS co-founder M.R. Madhavan. For 21-year-old Siddhant Marur, who graduated in economics from Chennai’s Loyola College, getting selected for the LAMP internship meant evenings spent discussing issues like tax evasion, electricity or railways. “It has been very different from what I expected," says Marur, who interns with BJP MP Kirti Azad, who represents the Darbhanga constituency in Bihar. He expected to learn about economics, but ended up learning about the power of oratory and good communication as well. Marur plans to do a master’s in international economics from the Graduate Institute of International and Development Studies in Geneva, Switzerland, and would like to work as an economist. That is because Vidhi is a small organization, says Dhvani Mehta, senior resident fellow at the centre. “Interns are a valuable part of the office and are incredibly useful when we are doing a project." At Vidhi, interns are recruited throughout the year and can apply through the centre’s website or its Facebook page. They are selected on the basis of their academic record and an essay on a policy issue; an internship generally lasts two-three months. Most applicants tend to be law students but a few interns have been from other disciplines too. 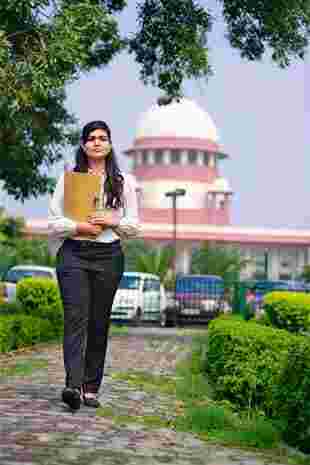 Like 20-year-old Nitika Khaitan, a student of political science at Yale University, US, who eventually wants to study law in that country. She believes that an internship with Vidhi will be helpful. “My internship for six weeks (at Vidhi) in June-July was well spent. I researched India’s nuclear liability laws and the state of tribunals. It was really substantial research work, which can be hard to get as an intern." “Twenty per cent of our applicants are economics graduates, 20% study law, 16% are engineers, 14% (have done) social sciences, 10% have studied business at either undergraduate or postgraduate levels and the rest are from other disciplines," says Madhavan, who is pleased with the diversity of people applying for LAMP internships. “Policy affects every sector of the economy. The exposure, the mentoring and the learning these interns get in seeing the issues that come before Parliament, like land acquisition, food security, housing, etc., will be useful to them in whichever profession they choose," he says. For young graduates with no political connections, it was hard to get into the field. Not any more. “I interviewed with Derek O’Brien of the (All India) Trinamool Congress party last year," says 28-year-old Samprati Motghare. After a master’s in business administration from the Indian Institute of Management, Calcutta, Motghare wanted to understand how a political party operates on the ground. He interned at the party office in Kolkata for a month last year, in April. “My job was to look into the kind of improvements in agriculture, education, roads and transport that had happened under the Trinamool government in the last few years and put the information together. This also involved writing a blog with my co-intern Tanmay Mondal," says Motghare. “I met top officials in many departments and learnt how to communicate data in a concise way," he says. He believes the internship gave him a head start at his current job. He is a Lucknow-based sales manager with a leading multinational firm in the consumer goods space. “I did not do this for a stepping stone to a better job, but yes the internship does end up being a major subject of conversation with anybody who hears about it," he says. “Doing an internship in the political or legal space by itself is not enough to make your college application more appealing. You have to be able to tie it into the larger narrative—for instance, did your experience of working in an NGO (non-governmental organization) validate your career choices, or did it change them? You need to be able to explain what it is that you actually did," says New Delhi-based Arjun Seth, director of educational consulting firm EdBrand. If you do, such internships could be a starting point for a career in politics, policy or government. A 2011-12 PRS LAMP intern, Gaurav Ghosh has been working since January as an officer on special duty to the chief minister of Rajasthan, Vasundhara Raje. Ghosh, who has a bachelor’s degree in physics from St Stephen’s College in the Capital, interned for 11 months with BJP MP Dushyant Singh. “I was lucky to be given a lot of fieldwork assignments, I travelled to the constituency of Jhalawar-Baran in Rajasthan. My MP was in the opposition at that time, so I got a chance to learn how to work on asking questions and raising issues, and of communicating crisply," he says. Singh, son of the Rajasthan chief minister, called him for this job. Some of the interns make their way to the corporate world. 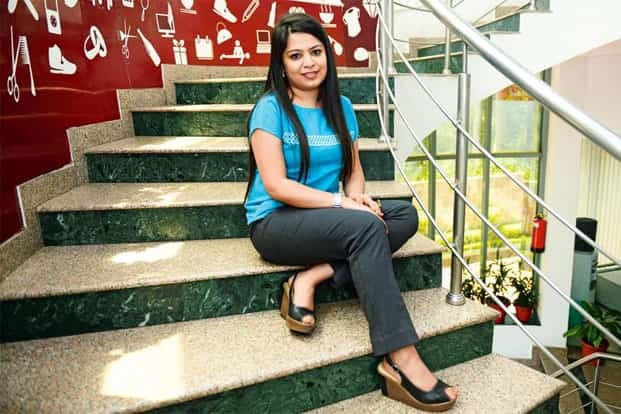 Aparajita Bharti, a project manager (strategic partnerships) for e-commerce site Snapdeal, is one of them. Bharti, who interned at PRS in 2010-11 as a LAMP intern, believes the internship gave her an edge. “Policy impacts business and the economy and working with government gave me a sense of perspective of those policymaking systems," she says. Her experience in dealing with the government has helped her in her current role at Snapdeal since she works extensively with the public sector, helping to train artisans to use technology to sell their handicrafts. So how do you choose the perfect policy or legal internship where you will get exposure, a lot of real-life learning, and your work will be useful to the organization? Research websites like Lawctopus and college websites list opportunities, says Khaitan. She also recommends talking to colleagues, seniors, and past interns. “It is difficult to know what real work you will get at an organization, even if it looks good on paper," says Khaitan. “Try and speak to the founder/head of the firm. Don’t have qualms about saying things like, ‘I am really excited to be working with you. I wanted to ask you what sort of work you give interns’," she says. Stipends vary. The Vidhi centre pays interns ₹ 7,500 a month. “We get our interns to do a lot of work, it’s only fair we reimburse them," says Mehta. She recalls that she didn’t appreciate not getting paid for internships with senior counsel or judges when she was a law student. Unpaid internships can, in fact, end up being harmful, for they exclude bright people who may not be able to afford the living expenses. LAMP interns receive a stipend of ₹ 18,000 a month from PRS. Political parties often don’t pay, but they promise experience, learning and sometimes, a certificate at the end of the internship. 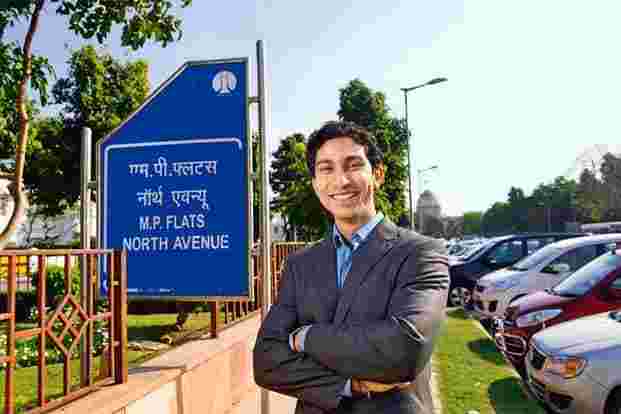 For Iyer, working with Rajendra Agrawal has meant sitting down to breakfast every day with his MP and discussing policy matters; for Ghosh, the field trips to constituencies have been a great learning opportunity. Khaitan describes her experience at Vidhi as engaging. “Everyone in the office would be working all day, it was intellectual, interesting, but at lunchtime, we’d all sit together and it was nice and friendly. It made me feel I can do this, I can work in an organization like this," she says.